How do you choose the right marketing company to help your business succeed? 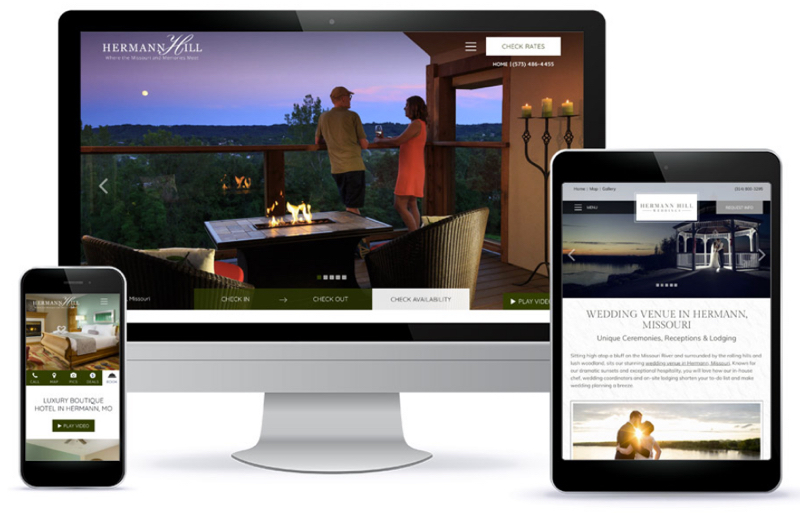 Here are a few factors you need to examine when choosing a marketing and design firm for your hotel, bed and breakfast, inn, wedding venue, resort or restaurant. 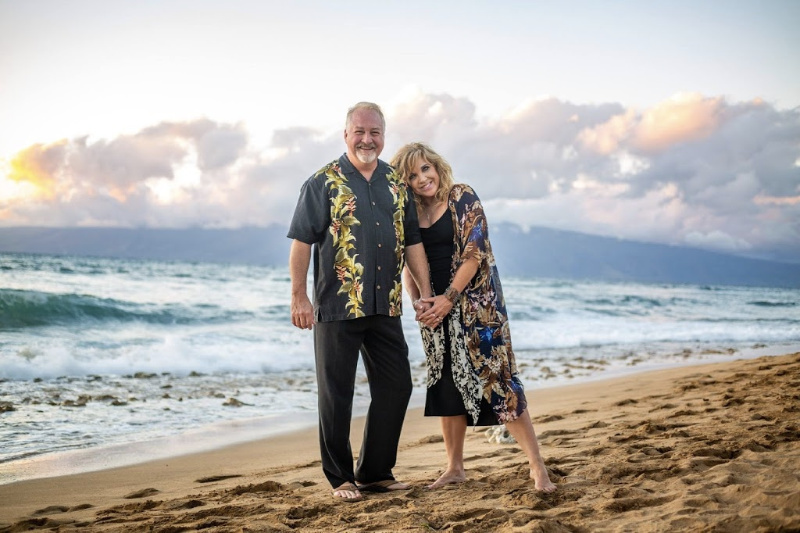 Led by Scott and Allison Crumpton, White Stone Marketing is comprised of some of the top hand selected experts in the industry. Make sure you know the people who will be working on your account. The White Stone Marketing design and marketing team is packed with exceptional experts and a conversation with any of them will show you how seasoned our employees are in the hospitality digital landscape. Make sure you have confidence in the team who will be handling your account before you make a final decision. Common mistake – being wowed by a sales person but not understanding the level of expertise of the people of the company. Your website is an investment and a digital asset you should fully control and OWN. Some marketing companies require multi-year contracts (or some variation) and you have to pay monthly to purchase. I don’t know about you, but I wouldn’t sign a multi-year contract with any company for any reason! Some companies only provide a lease option. Our advice is to stay away from signing on the dotted line and being stuck in a lengthy, unwelcome contract. This can be a costly mistake. Choose a bed and breakfast website design that is proven to convert. 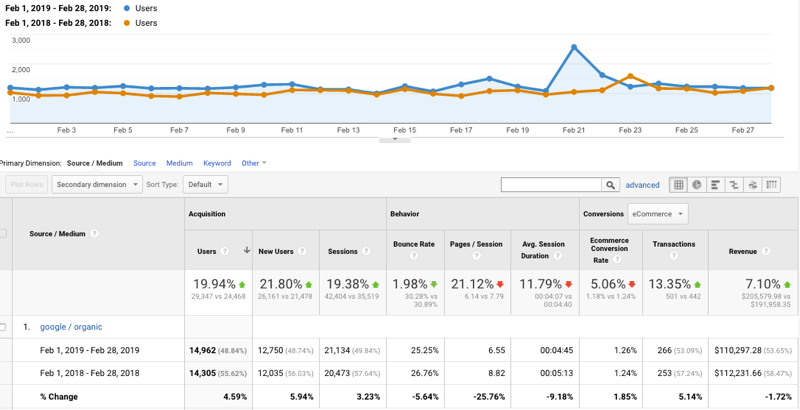 Common mistake – renting your website. You should hire an expert to handle the important digital marketing tasks because technology, effective digital strategies and search engine marketing continue to evolve. It is a full time job to stay “in the know” and able to effectively provide the services you see below. Let an expert execute the highly technical aspects of digital marketing while you focus on providing exceptional service to your guests. After all, you don’t know what you don’t know. And what you don’t know will cost you. Common mistake – inns try to handle complicated tasks or hire folks to handle only a few of the important elements of digital marketing. There should be transparency with your accounts and services rendered. Make sure to arm yourself with the knowledge of what is working and what is not so you can be part of adjusting strategies. Hold your marketing company accountable for following through on services promised. Common mistake – not tracking revenue or having access to valuable data. Don’t simply read reviews from a few happy clients, make sure to actually see the work the company has executed for others and talk to numerous clients they work with. The proof is in the pudding as they say. 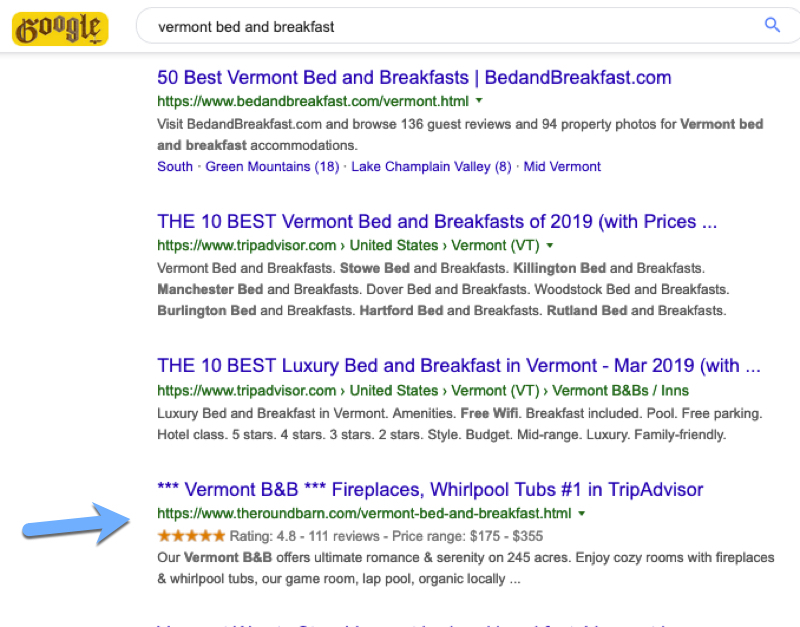 Google “Vermont bed and breakfast” – #4 in Google organic. 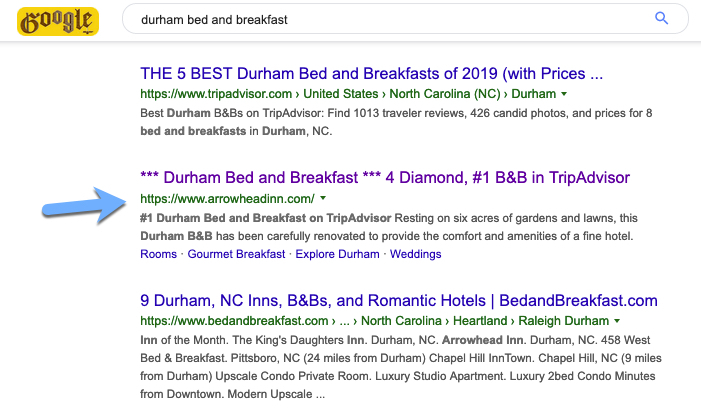 Google “Durham bed and breakfast” – #2 in Google organic. 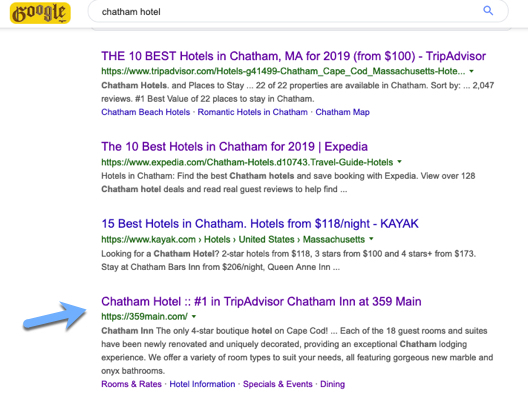 Google “Chatham Hotel” – #4 in Google organic. Common mistake – relying only on a case study or review from a few clients. 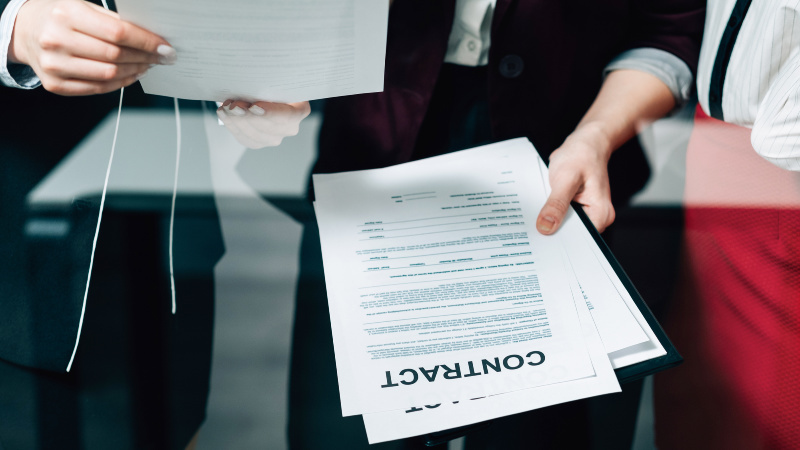 Any company that is worthy of your service will not require a lengthy contract that traps you into working with them for a certain amount of time. Be careful when these types of agreements are required as it can get you into trouble. At White Stone Marketing you may leave at any time should you choose to. We figure it’s how business should be done. Common mistake – signing a contract that binds you for a year or more! Can you find a local “marketing” person? Sure. Will they be industry experts who can help you achieve major revenue goals? More than likely, no. Find a company solidly in your niche in the hospitality sector. For example, we have tracked revenue results to the source for well over a decade and we know EXACTLY what resources convert and what do not. Having a design and marketing company whose expertise is in the lodging, wedding, business conference, spa and restaurant industry will save you from costly mistakes. Not only do the White Stone Marketing arsenal of strategies produce exceptional results, but we have also forged unique relationships with other top professionals in the industry allowing us to provide proprietary tools to help you run your business. Make sure to hire the best you can afford. Common mistake – hiring a local. Marketing and design companies should make your business vastly better than it was before. They should have the staff, expertise and strategies to guide your business to increased and sustained profitability. Contact us today to discuss your independent hospitality property. We will answer your questions and discuss how we can help you reach new heights.